Simplify your agency’s marketing analytics with Agency Analytics by Improvado. In minutes, understand your agency’s marketing performance on each platform, for each client or get a birds-eye-view of agency performance overall. Gain greater clarity into your cross-channel activities with granular KPI data from every major social media, search engine and display platforms. 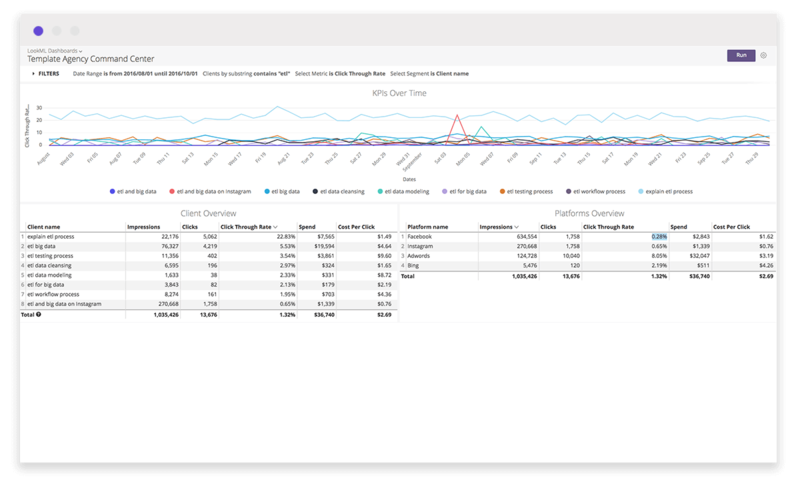 Monitor each client and each platform’s performance with a view of performance changes over time. Replicate success and avoid risks early by identifying performance outliers broken down by channel and by client. Add on Improvado’s Advertising Analytics, Twitter Analytics, YouTube Analytics and Google DCM Analytics blocks to gain a comprehensive view of your client’s social media, display and search performance.